One of the most beautiful days that many girls dream of and wait for is the wedding day. This day usually comes for just one time in our life and this is why it is considered to be a unique day not just for those who are still single and have not got married yet, but also for those who are already married and live with their partners. This day remains unforgettable throughout our life because of the amount of happiness and joy that can be found on this day and are rarely repeated after that. There are many things that girls care about for their wedding day but the most important thing that draws most of their attention is the wedding dress. 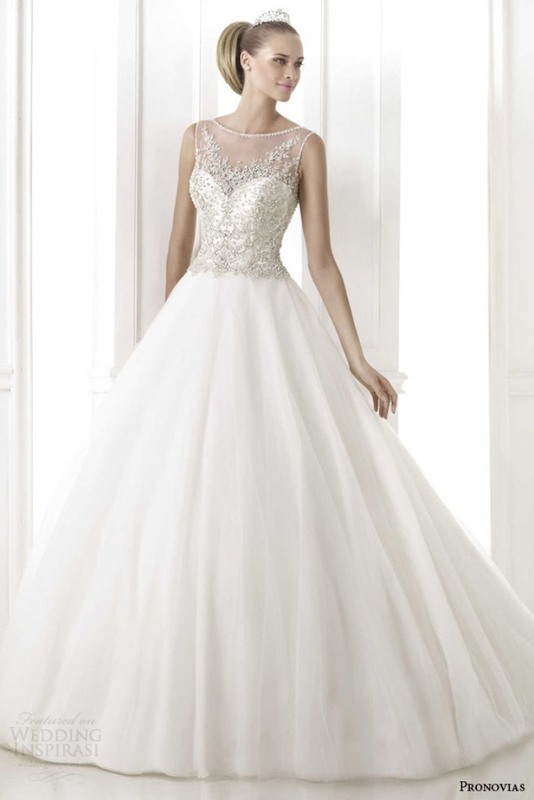 Wearing a catchy and fashionable wedding dress that stuns all the attendants and makes their eyes and mouths widely open is the dream of almost all the girls. 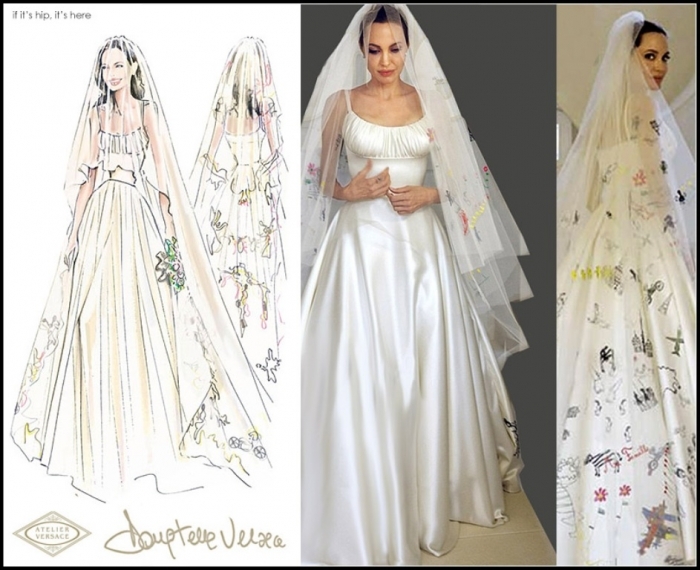 Every girl wants to be the most beautiful bride on earth at her wedding and this can be easily achieved by choosing the right wedding dress that suits her body, reflects her personality and features the latest changes that are presented by famous and creative designers. 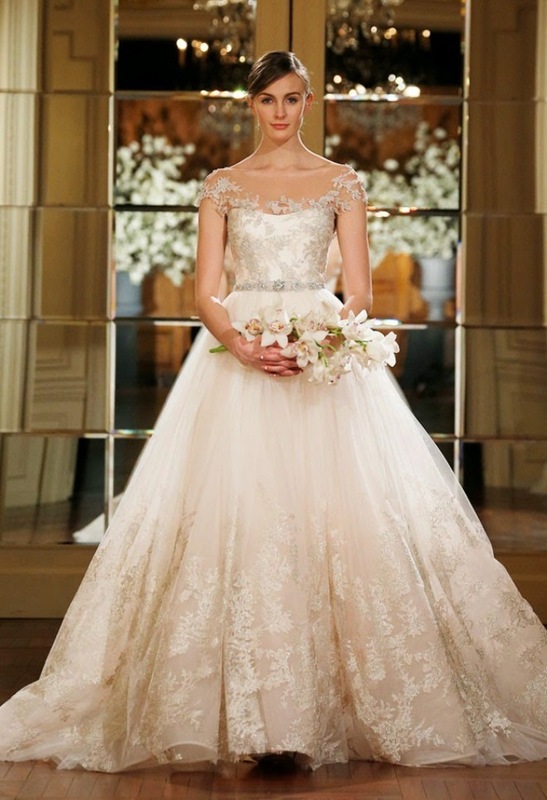 There are new trends that are presented each year to allow every girl to be the catchiest bride and in order to make you a gorgeous bride in the upcoming seasons, we present to you the following top 10 wedding dress trends in 2015 to decide the best design that meets your taste and suits the shape of your body. 1. Off-the-shoulder neckline: It is one of the hottest neckline trends that are presented for the next year. 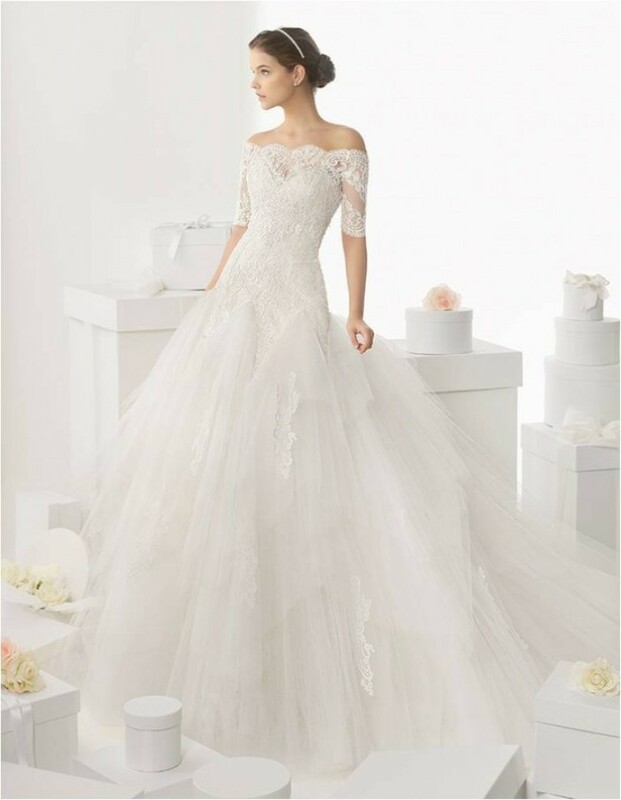 It is romantic and will never die since it increases the elegance of any bride especially those who want to show the beauty of their shoulders. 2. New shades: In addition to the traditional colors that we used to see, you are going to find new shades in the new year such as green, blue, brown, pink and gray which allows you to change the traditional look and to choose the shade that you like for your wedding. 3. 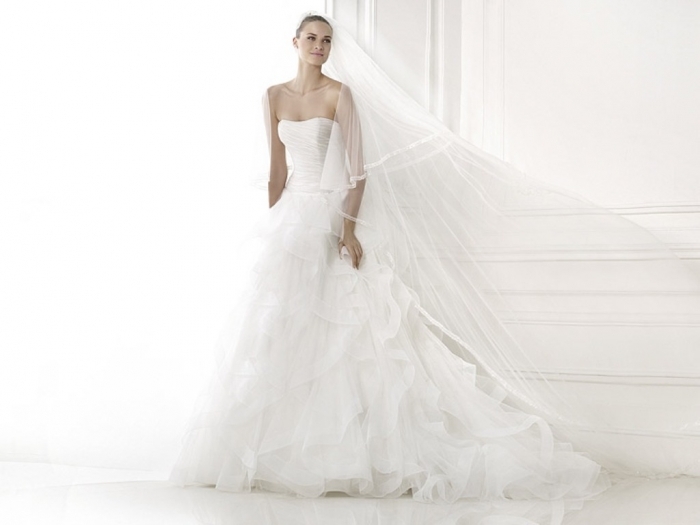 Tulle: It is one of the hottest fabrics that you are going to find in the next year for creating light, catchy and irresistible skirts for the wedding dresses and it can be paired with other fabrics such as lace for more elegance. 4. Collars: If you do not want to show your shoulders and neck, then you can opt for those wedding dresses with high necklines especially collars. 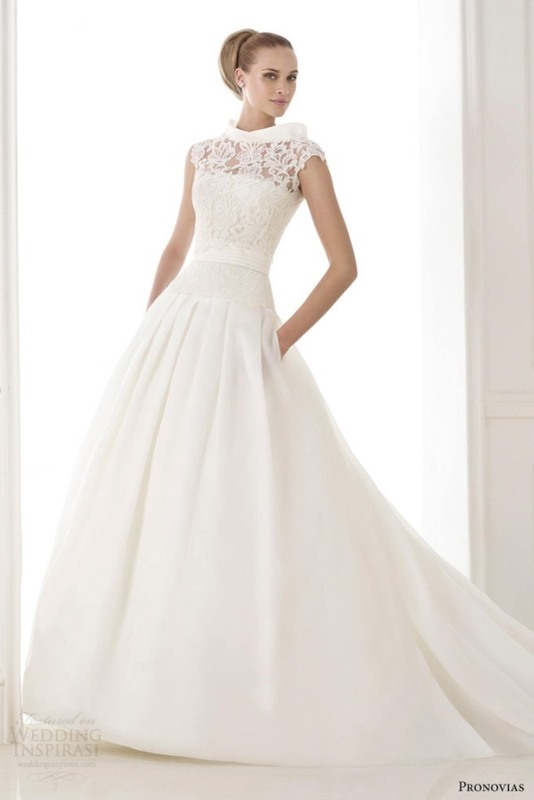 Wearing a collar wedding dress gives you a royal look to make you look like a queen. 5. 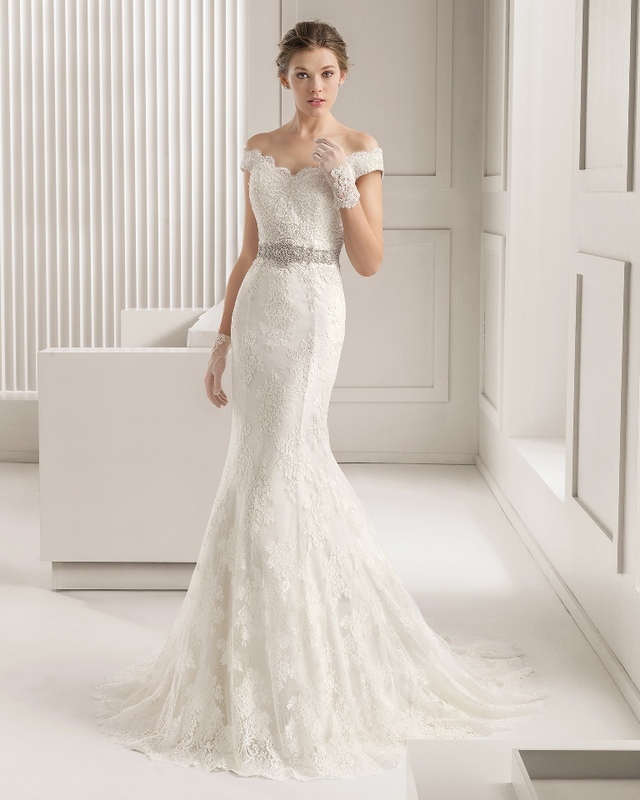 Sleeved dresses: You can find long, short, thin, cap sleeved dresses and other choices from which you can pick what you like and what makes you comfortable at your wedding. 6. 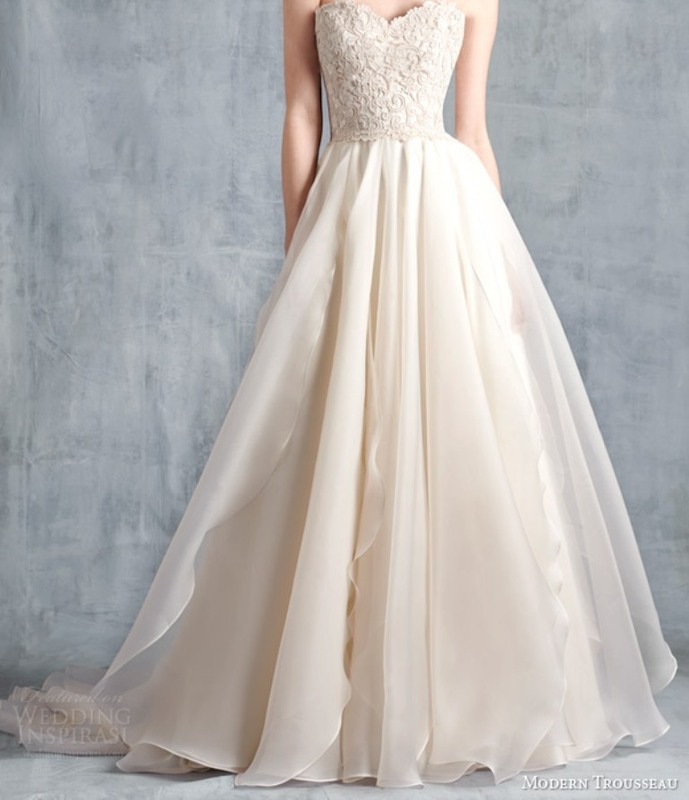 Plunging neckline: If you do not feel comfortable while wearing high neckline or collar dresses, then why do not you try those wedding dresses with plunging necklines which are catchier and allow you to show the necklace or pendant that you wear? 7. Floral details: They give your wedding dress a natural and elegant touch that increases its beauty. These floral details can be found on the shoulders, around your waist or on the skirt and they differ in their sizes ranging from small to those which are oversized and can be found on the skirt. 8. Ruffles: Wearing dresses with ruffles is one of the hottest trends that you are going to find in the next year. They increase the size of the skirt and make it large. 9. 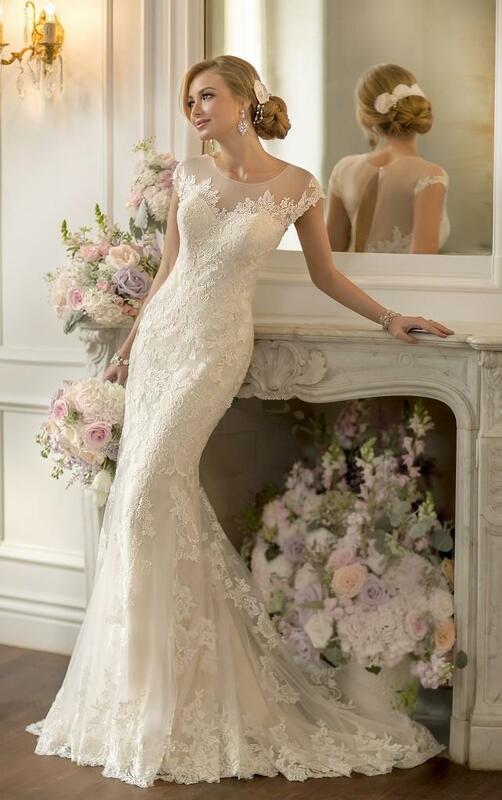 Lace: It is one of the most common fabrics that are used for creating different wedding dresses and it will be also present in the next year. 10. 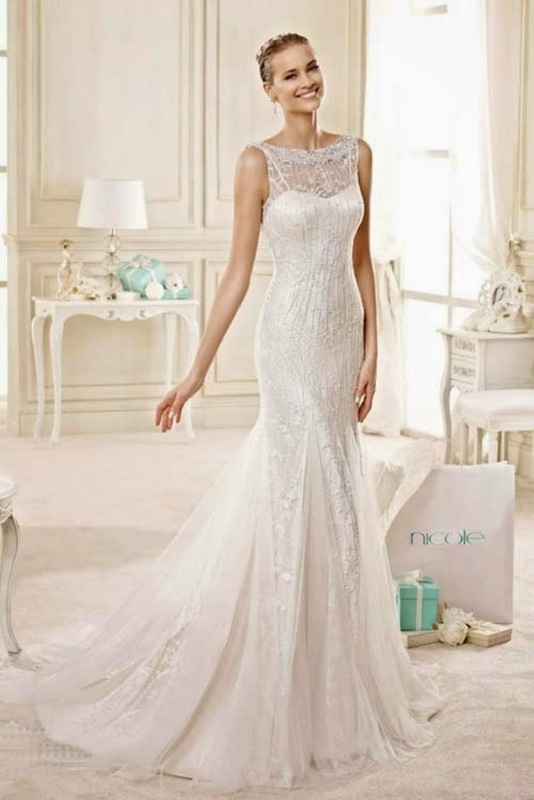 Trumpet wedding dresses: This design is going to be common in the upcoming seasons and it is perfect for those who want to show the details of their bodies. Other trends that you will find in the next year include: Capes, crop tops, lattice details, statement sleeves, peplums, baroque and fringes.